OC Global is a force among consulting companies in railways development. From our leadership roles in groundbreaking projects to the upgrading of workhorse rail infrastructure, we have the proven credentials to lead any important railway project. Among many MRT projects, we have led the rollout of Delhi’s Metro system in India and project managed Istanbul’s intercontinental submerged Bosphorus rail tunnel and commuter rails upgrading. 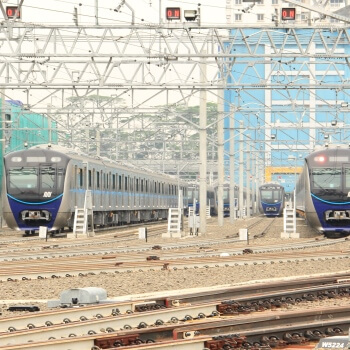 We have led the expansion of Jakarta’s commuter railways, and now the construction of its first metro, and helped install LRT systems in Manila. Today we are leading a major portion of India’s Western Dedicated Freight Corridor project and will help implement the first installation of a fully-Japanese high-speed rail project (Shinkansen) outside Japan, between Mumbai and Ahmedabad, India. OC Global specializes in being a trusted partner of project owners who are developing urban or intercity railway lines. From network planning, to design, construction and operation, we bring projects from vision to reality. Rail transit is a safe, efficient, and reliable mode of mass transportation, but developing a rail system involves many technical as well as social and political challenges. We provide the latest technologies and solutions, from conceptualization to implementation, for new facilities or the upgrading of existing facilities. We have experience in intercity or suburban trains, shinkansen and other high-speed trains, subways, light rail, and other guided transport systems. Our expert advice, experience, and excellence in project appraisals and identification of feasible project alternatives supply the knowledge base for project sponsors to make informed decisions.